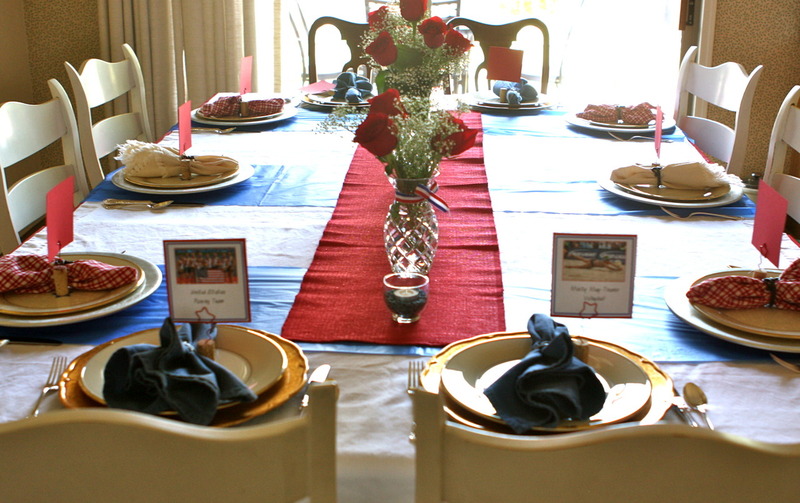 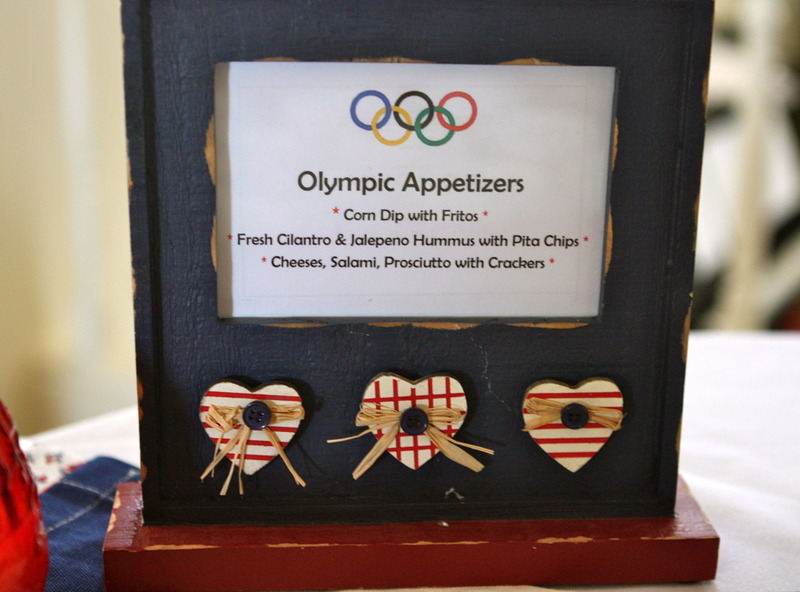 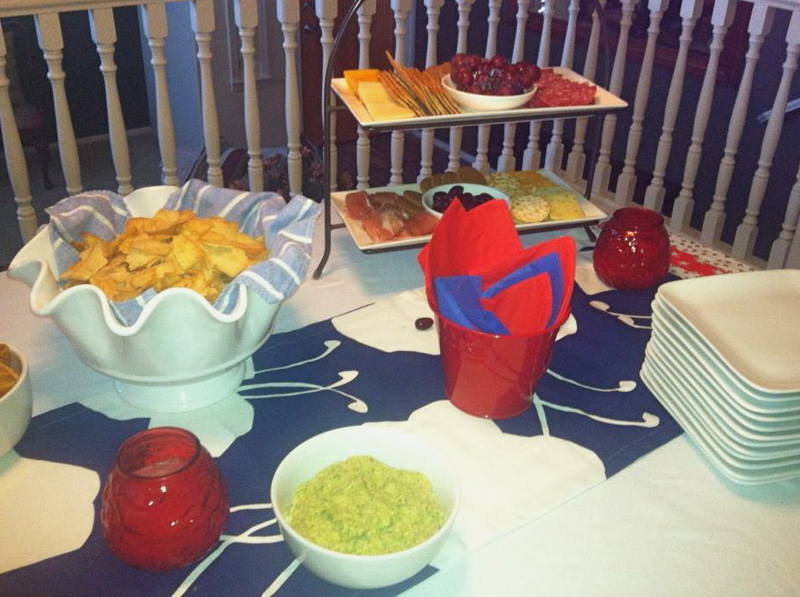 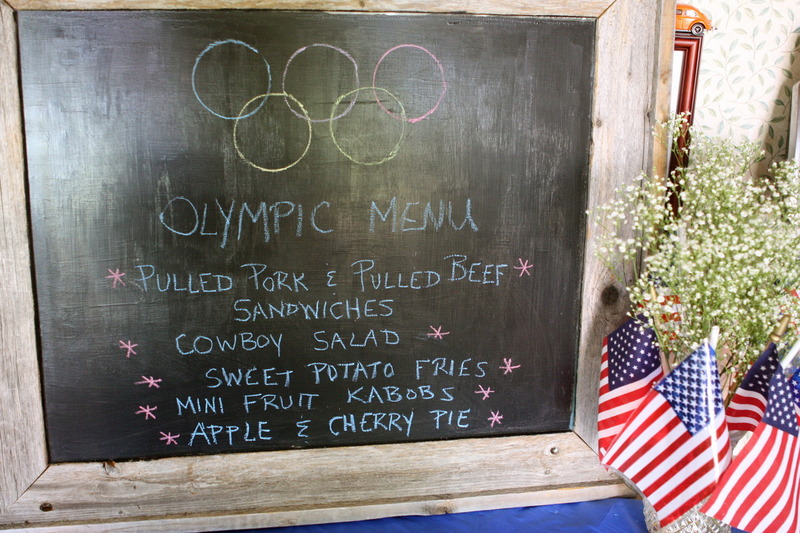 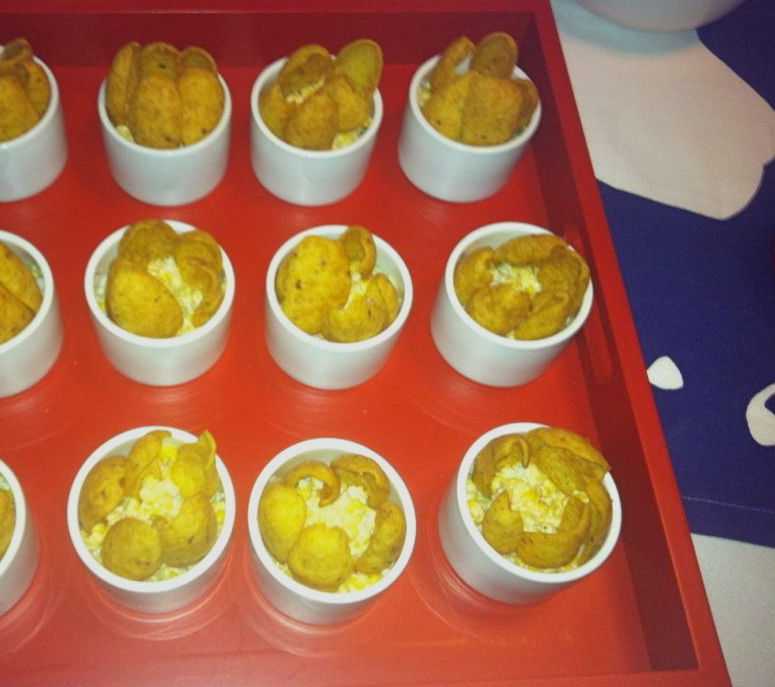 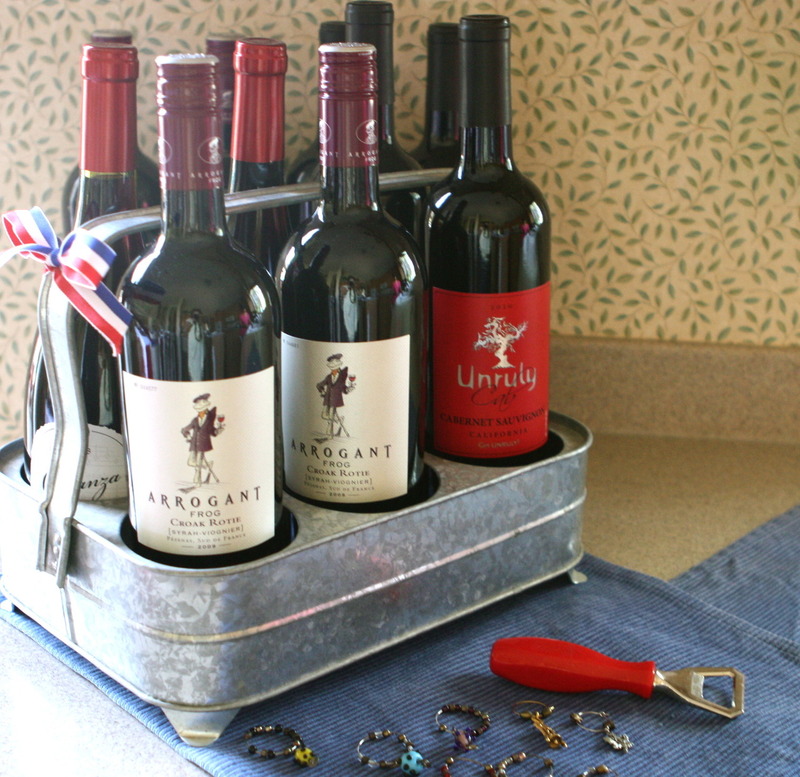 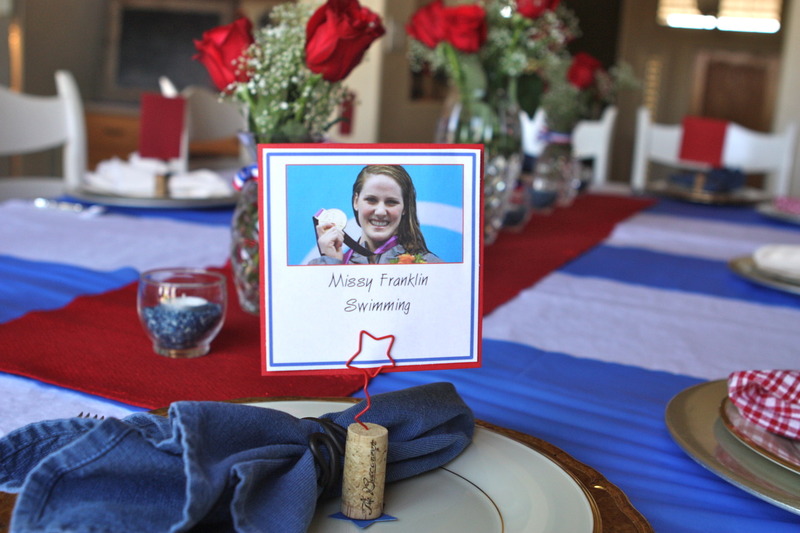 Here’s some more Olympic USA theme party inspiration from my neighbor’s party with my items from Goodwill. 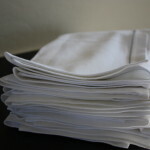 The majority of the items came from Goodwill, you can see my Goodwill Shopping list here and here. 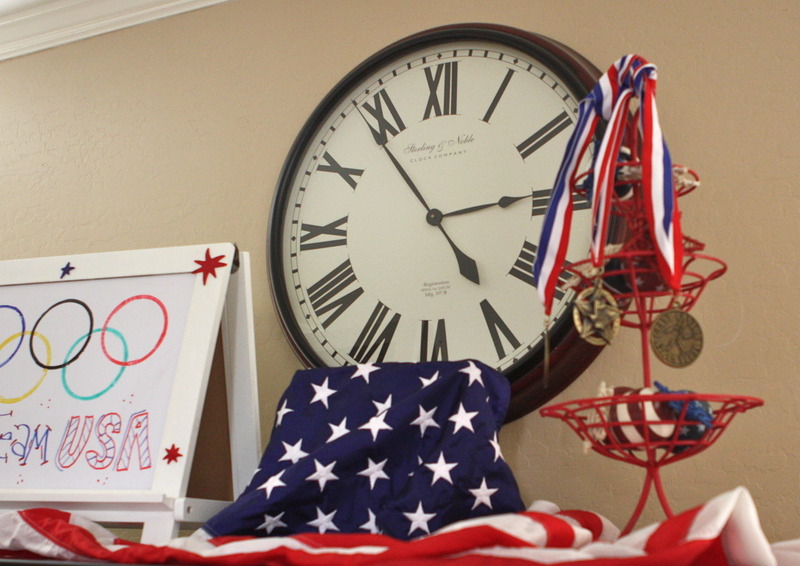 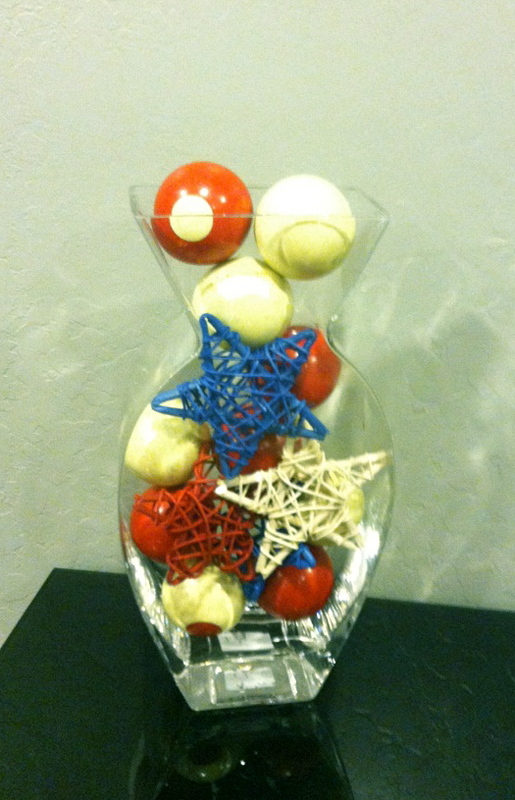 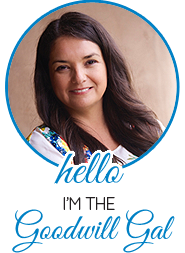 The Olympics comes only once every four years, shop Goodwill for some fun decor and have an Olympic USA party.